Watch Videos to Learn More! Here our clients and team SHOW the difference at Memory Meadows. See the park in all its peaceful dignity. 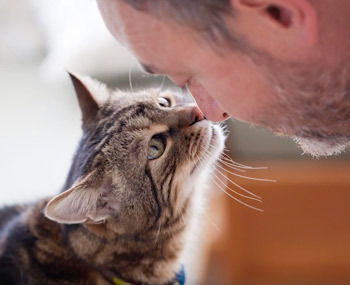 Hear directly from those who have inurned their pets with us. Our family matriarch loved animals. 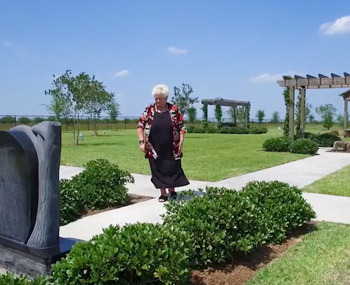 The memory park honors her vision of the full circle of life. This 501(c)3 quietly, honorably serves the community in times of need. People don’t know their options when a pet dies. People need closure, and to remember their pets. Memory Meadows guides these considerations. 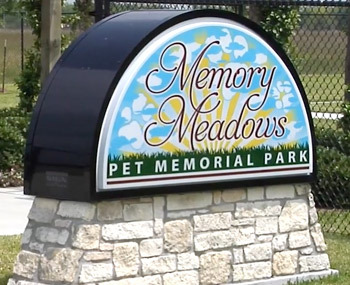 It provides a forever place to bury your pet. What is protocol for canines lost on the call of duty? More importantly, how and where do we put dogs to rest? 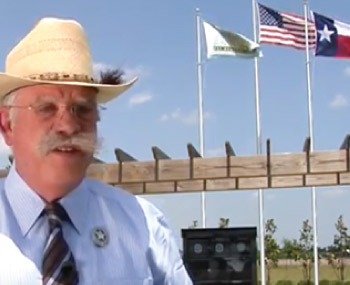 A burial with Memory Meadows offers peace, and officers prefer coming here. 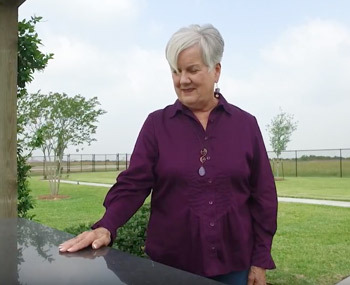 When pets die, Dorothy O'Connor wanted to provide a final resting place that honors the full circle of life. What is a columbarium? How does one deal with grief? Click for answers! 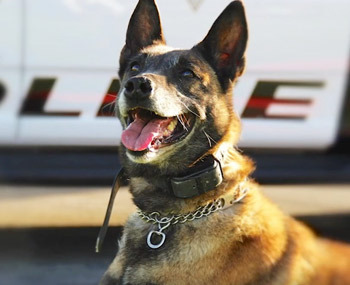 Dogs love police work! It is fun to watch them train and all they do for the community of Victoria. Our family of officers want to honor the handler and family, and Memory Meadows does in the most dignified manner. I have three beloved pets here, that are an important and significant part of our family. The staff are all pet- & people-oriented. Your pets will be treated with respect & dignity!